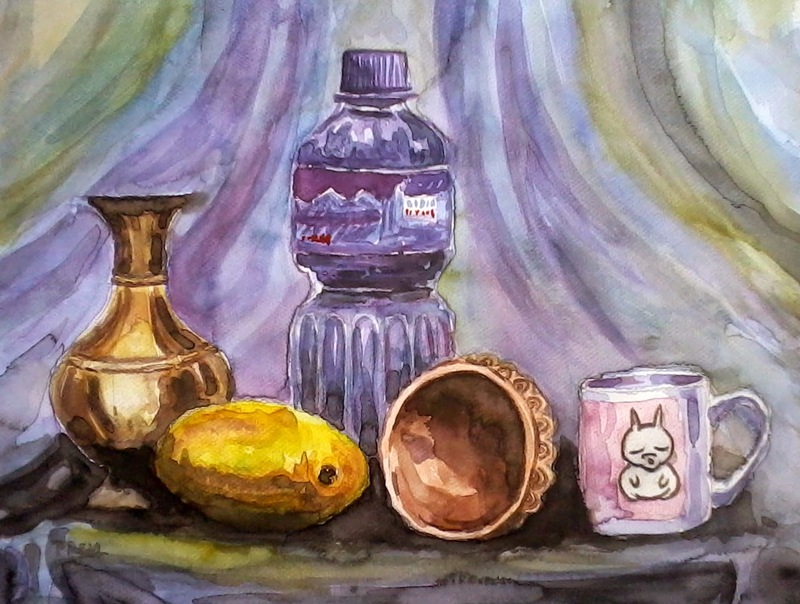 This is my first still life painting which I made by using Camel Artists' Watercolor on French Cartridge. While still life sketches and paintings are taught thoroughly to the art students, I never did them as I didn't go to any art school. However, it was a pleasant experience doing this painting as it was my first time. Hope you'll enjoy viewing it! I will keep updating as I paint more!